If you’re looking for something for your children for Easter why not buy them a book…much more nutritious for their brains! The following reviews are of sequels to books which my children and I loved so we had a feeling they would be good. 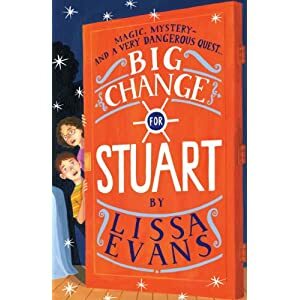 Big Change for Stuart is the sequel to Small Change for Stuart and they both revolve around the adventures of 10 year old, short for his age, Stuart Horten (S.Horten..). Suitable for confident male and female readers from about 7 years and over, this makes a pleasant change from the sparkly, pony/unicorn/fairy/wizard, adventures which are usually targeted at this age group. The result is an intelligently written adventure story which has an old-fashioned ring to it but still translates well into the modern, technological era. The characters are likeable and interesting. Stuart is a curious young boy, keen to investigate the legacy of his Great Uncle who was a stage magician. He is accompanied on his adventures by his intrepid companion April as they solve the mysteries surrounding each piece of magical apparatus used during his Great Uncle’s stage act. Another engaging character is Stuart’s father who has tendency to use multisyllabic words – his job as a crossword compiler tends to hinder rather than aid his communication skills! The book is split into short, snappy chapters and set out like a series of puzzles which will appeal to many young children. Even though this is a sequel, it can be read as a stand-alone but of course you will immediately want to read the first book anyway! Highly recommended for children with inquiring minds who enjoy a touch of magic. 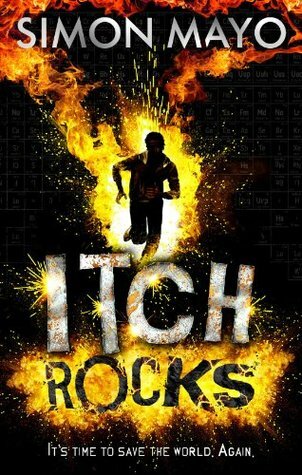 Considering my 12 year old son and I (late 40s..) both loved the first in this series we were keenly anticipating the follow up, Itch Rocks. We are delighted to report that it is a worthy successor and having devoured it over a few days we can’t wait for the next in the series. Itchingham Lofte’s life has changed dramatically since his disposal of the “rocks” and he and his family are now under constant surveillance and even have security personnel living with them as well as next door! Any hopes of Itch making new friends are dashed by his living in the spotlight and he lives under the constant threat of being kidnapped as he has refused to tell anyone (even the good guys) about the location of element 126. 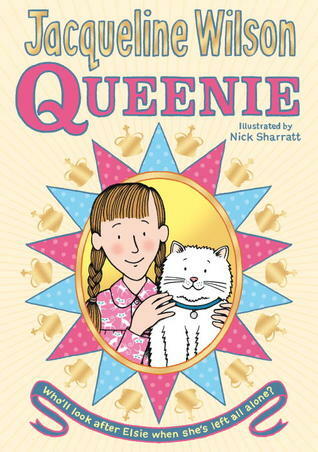 Oh and one for the girls from Eva who highly recommends Jacqueline Wilson’s latest novel, Queenie. Review courtesy of Eva aged 9. Queenie is a heartwarming tale about Elsie Kettle, a girl in 1953, who desperately wants to see the Queen’s Coronation. She lives with her Nan in a little but cosy basement flat. When her Nan gets very poorly, Elsie’s life is turned upside down. Her Mum comes to look after her but when Elsie gets ill, she is taken away from everything she ever knew. Now she will have to make new friends and this leads to a friendship with a majestic white cat called Queenie but will Ever ever be reunited with her Nan? This is one of Jacqueline Wilson’s historical novels which I especially enjoy. It has a twist in the tale and will keep you gripped until the last page. This entry was posted on Tuesday, March 26th, 2013 at 3:48 pm	and is filed under Children's Books. You can follow any responses to this entry through the RSS 2.0 feed. You can leave a response, or trackback from your own site. thanks for the recommendations because Big Chang and Itch Rocks both sound like books my N3S will enjoy reading.